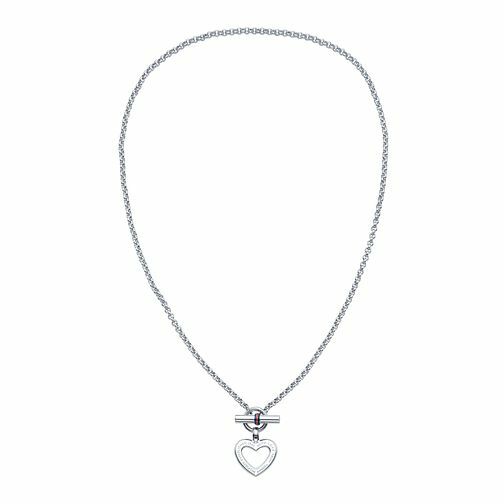 A classic ladies' valentines day enamel heart toggle necklace from Tommy Hilfiger. Carefully crafted from stainless steel, a fine chain is embellished with a heart pendant and T bar closure. The perfect present for a loved one, with the Hilfiger flag colours presented on the T-Bar for the finishing touch.